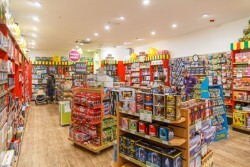 Retail sale of novelties, toys and gifts. Originally retained to acquire temporary Christmas outlets throughout the UK to include Scotland, Wales and Northern Ireland in 2002. Subsequently secured temporary stores on an annual basis peaking at 75 stores in one year. Since then, we have also acquired permanent stores. In 2012, we acquired their head office in Norwich and distribution warehouse in Eye, Suffolk. We continue to advise on the acquisition of both permanent and temporary shops throughout the UK where store numbers will reach c.45 by Christmas 2014. 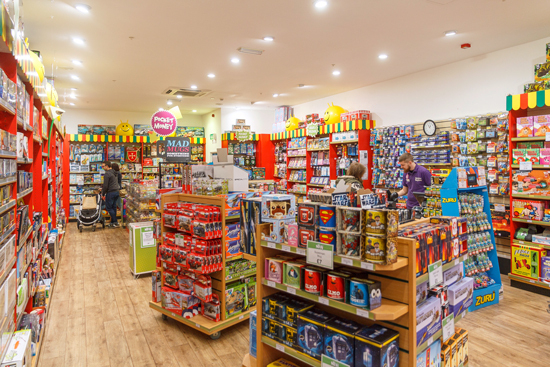 Permanent outlets can be found in Aberdeen, Bluewater, Bath, Westfield Stratford and York. 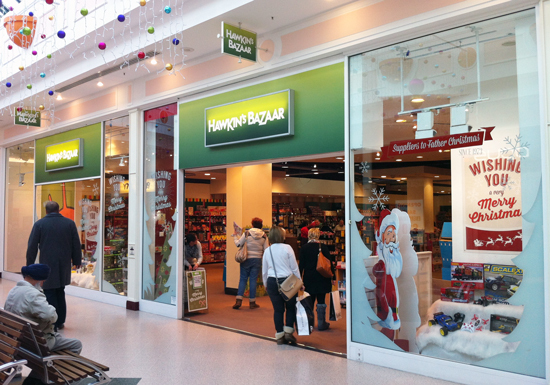 Hawkins Bazaar was acquired by Primary Capital in January 2013.